Blog in Charleston sometimes it isn't what you know but where you live! in Charleston sometimes it isn’t what you know but where you live! My new listing in the luxurious Laurens Place building sits on the Aquarium Wharf right next door to the Maritime Center in downtown Charleston SC. The building was constructed in 2000 and the owners consist of Charleston, SC’s who’s who. Very rarely do these units come on the market, and rarer still are they logically priced. This gorgeous abode includes all hardwoods throughout, two balconies, and spectacular waterfront views. While one balcony off the south side overlooks the steeples of downtown Charleston SC, the other provides incredible view of the Ravenel Bridge, the Charleston Harbor and Aquarium Wharf and across the Cooper River to Mount Pleasant waterfront and Patriots Point. Ten foot ceilings and the large open floor plan along with elegant architectural details create the space. The balcony off the master and living rooms is large enough for a dining table and would be a spectacular spot for a dinner party. Imagine waking up in your large master suite and dining on your private balcony overlooking your own boat slip. Did I mention the building had it’s own private dock? All this and gated parking for both your boat and two cars, as well as a regime maintenance professional capable of providing concierge services. 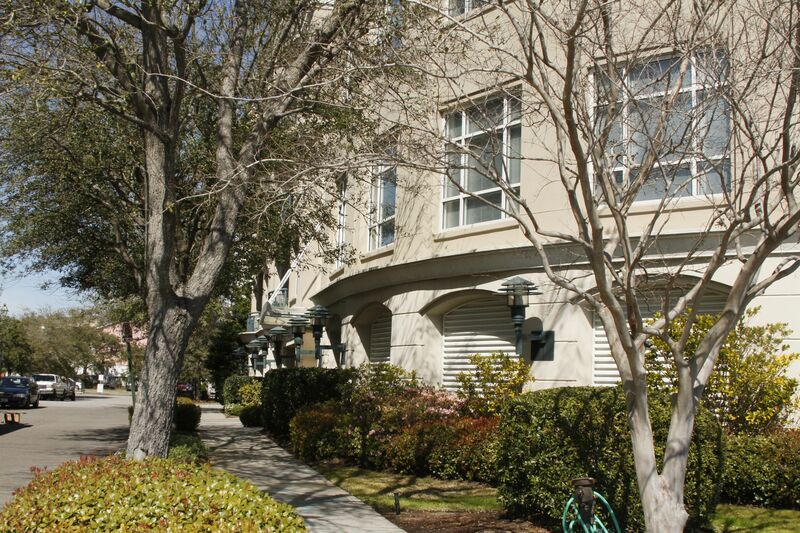 Year round or vacation home, Laurens Place is the ultimate in maintenance free living for your luxury lifestyle! For a full set of pictures of the unit click here.